IT isn’t the ideal preparation for an All-Ireland club semi-final, but Lámh Dhearg manager Simon Wilson insists having six players suspended won’t distract the squad from their goal of reaching the decider in Croke Park next month. The Antrim and Ulster champions take on Mooncoin of Kilkenny on Sunday afternoon in Trim, Co Meath minus the services of Declan Lynch, Paddy Mervyn, Brendan McComb, Conor McConville, Ryan Diamond and Michael McGuigan. The bans arise from their Ulster final victory over Sean Mac Cumhaill’s which was marred by an unsavoury brawl towards the end of proceedings. Lynch and Mervyn were shown red cards by referee, Barry Winters along with Paddy Hannigan and Gerard Gilmore from the Donegal champions. However, the Ulster Council handed out four additional suspensions to Lámh Dhearg in the aftermath of the game. Appeals to the provincial body and to Croke Park fell on deaf ears and the Hannahstown men will be massively understrength for Sunday’s clash. 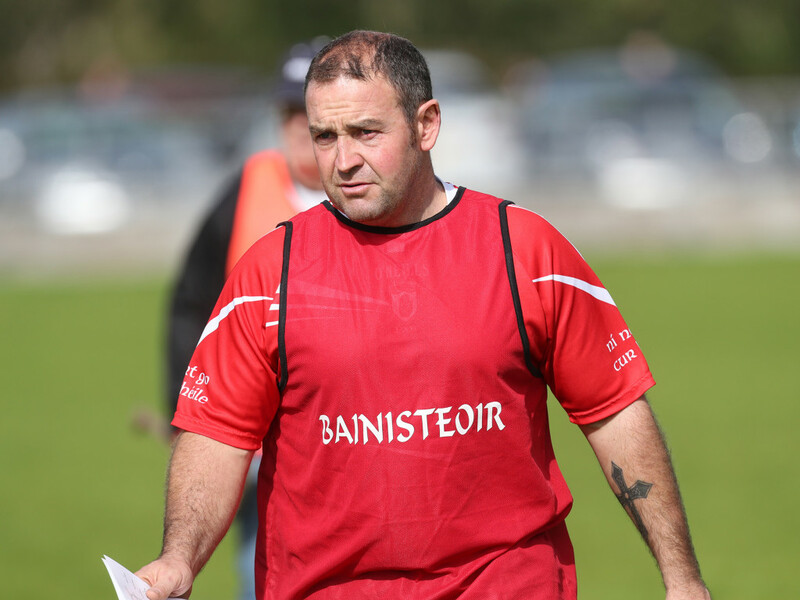 et, Wilson is fully focused on the job at hand but hopes his side can progress in order to ensure the aforementioned sextet can feature for Lámh Dhearg in the All-Ireland final. “It is not ideal but we played a challenge match last Sunday without the six players,” said Wilson. “We are at the stage now where we want to have all the distractions out of the way. “If anything, we are going to use the suspensions as motivation. While Lámh Dhearg ended the 2016 year with two Championship titles, their manager admits he wasn’t sure how far they could progress when he first took charge this time last year. “At the start of the year, I met with the committee and we felt an Antrim Championship was within our sights as well as finishing in the top four in the league,” said Wilson. “I think back to our first game, it was a challenge match against Ballycastle reserves. I came away from the match wondering ‘what the hell am I doing here’. “To be fair, they knuckled down and did everything that was asked of them. “They have bought into everything. The club has made me feel more than welcome. That change in mindset came to the fore as Lámh Dhearg illustrated remarkable resolve to grind out some memorable Championship wins in both their Antrim and Ulster campaigns. In the Antrim decider, they were three points down in injury-time against Cushendun before scoring a late goal through Michael Herron and a dramatic winning free from Domhnall Nugent to claim the title. Against Sean Treacy’s and Inniskeen, they claimed one and three-point wins respectively before the victory over Sean Mac Cumhaill’s in the Ulster final. Wilson feels that their tough campaign stood them in good stead ahead of the Ulster decider. “We were confident that we wouldn’t be overawed by it,” said Wilson. “In the games before the Ulster final, we had to dig deep and grind out results. “I always knew going into the Ulster final that it would take a very good team to beat us. On Sunday, Lámh Dhearg will be huge underdogs to defeat Mooncoin with the Kilkenny side 2/7 favourites to progress to the All-Ireland final next month. The Hannahstown men, in contrast, are priced as 11/4 shots. Such odds doesn’t faze Wilson, who witnessed Mooncoin first hand when he took in their Leinster JHC win over Ratoath last month. “I watched them in the Leinster final – they are just a typical Kilkenny team,” said the Ballycran native. “They play 15 on 15. Coming from Kilkenny, their hurling is never going to be a problem. Their fitness is great. I am not saying I am confident but we definitely won’t fear them. Wilson added that he has a few minor injuries to contend with in the run up to Sunday’s semi-final clash but nothing that should keep any of his players out of the game. While the Hannahstown side will travel to Trim confident of getting a result, their hand has been significantly weakened by the absence of six players through suspension. They will have also have to contain Mooncoin’s towering full-forward Eamon Hennebry – who has been his side’s scorer-in-chief this season. Wilson’s side have claimed some stunning wins during their Championship journey which has seen them annex the Antrim and Ulster Championships. They will need to produce their finest display in an extended campaign in order to progress to an All-Ireland final in Croke Park.